The Kelford Cams range for Nissan KA24DE and KA24DET engines features cutting edge design technology for increased performance and extended component reliability. 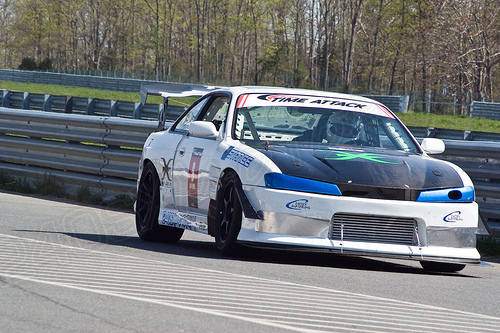 Adjustable cam gears must be used to achieve the correct valve timing. Please also note that while our camshafts do suit FWD and RWD vehicles, for RWD applications, you will need to machine the rear of the camshaft slightly. Custom designed, larger or naturally aspirated profiles are available by special request; simply order the custom camshaft and provide us all the details of your build. 260/260 Degrees advertised duration, 9.38mm/9.38mm lift. 272/272 Degrees advertised duration, 9.80mm/9.80mm lift. 278/278 Degrees advertised duration, 11.00mm/11.00mm lift. 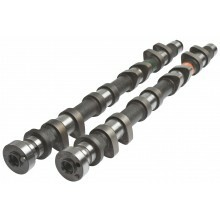 Custom camshaft for Nissan KA24DE & KA24DET engines.